Message In A Bottle Invitations: Every Kid’s Dream Come True With A Pirate Theme Birthday Party! Sailing in the ocean in a pirate ship is almost every kid’s dream and why not make it true on their birthday with a Pirate Themed Party. No matter a boy or a girl, pirates fascinate both. So what’s better than to throw a pirate theme birthday party for them? Forget princess style and bring on the ruffled shirt and high boots. To make the look complete a pirate hat and some trousers will be all that’s needed. You can use this amazing glass bottle to make your kids happier. Which kid hasn’t heard of glass bottles floating to the shore with messages in them? 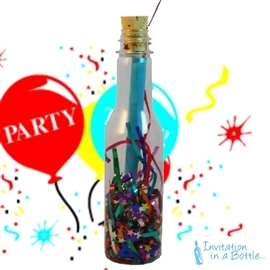 So, if they can send an invitation for his birthday to his friends in a glass bottle filled with sword, sand, shells and message tied with ribbon, it will surely make their day. To make the party more fun for your kids, you can arrange lots of games involving piracy. Such as, treasure hunting. Hide some chocolate and make a map, which will give your kid a blast. Think out of the box and decorate your house like a pirate ship with treasure chest, rusty weapons and barrels. A few pirate songs here and there and to the sea we go! Give the title of the captain to one and make the rest crew. Set sail into the ocean and make the best journey of your life. 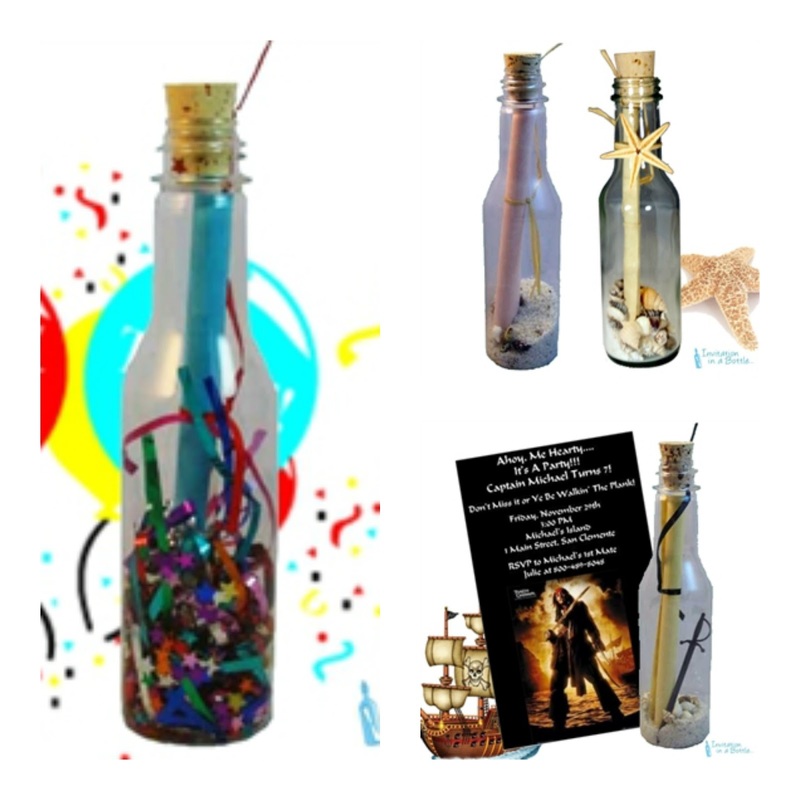 Pirate theme does not necessarily means a party for the kids only, anyone can have a birthday party or maybe a graduation party with this pirate theme. Inviting via e-mail or letters has gone boring and extremely common. People often don’t even check their mails for days or throws them away thinking it’s junk mail. But think what will happen when they opens their mailbox and finds a bottle? They will get a near heart attack to say it lightly. So, now is your chance to knock the socks of your friends and give them a start. Invite them to your Party In A Bottle. When you want to throw a pirate theme party, you just can’t make it drab, it has to be a knock off. You only throw a big party once. So, make an order right now to invite friends in the Pirate Bottle. By doing so you will be rocking their world for a long time that’s for sure, as no one ever gets invitation in a bottle do they? You will be the main topic of every gossip among your friends for probably years. You can even tell your friends what pirate they can be in the invitation. Your party will be the convocation of all the great pirates. Either it be Captain Hook or Bloody Baron, Blackbeard, Billy Bones Long Ben or even Captain Kidd. YO HO HO AND A BOTTLE OF RAM can be your theme song for the party. Your motto may be something like this. “I dropped a note in a bottle to a long legged model”. Keep foods that relate to pirates in your party, lots of pirate songs and finish of your party with pirate flags with your name underneath as a souvenir and your party will be a blast! I am very happy to read this nice post. You are a great writer and give us much information.